We provide free estimates and will stick to that throughout your fencing installation project! We can purchase the materials for you or use the materials you already have. Need a job fixed? Our contractors are skilled in repairing poorly installed fences. All of our materials can withstand the Florida heat and constantly changing weather. Does your business need a fence installed or one removed? We can help. Our contractors understand that a business needs security and a fence that is going to serve your purpose. Davis Fence Inc. provides fencing that can withstand the Florida heat as well as other radical weather changes. Call us today to discuss all of your fencing needs. Build Your Fence With Davis Fence Inc.
Davis Fence Inc. in Spring Hill, Florida offers quality fencing installation, removal and fence core drilling. John Davis hand-picks his installers and collectively has 42 years of experience installing and removing fences. Our most popular fencing materials include: PVC (vinyl) fencing, aluminum fencing, chain link fencing, wood fencing and barbed wire fencing. We'll gladly purchase materials or install what you already have. Need assistance with financing? John Davis will work with you to find the best way to finance your new fence. 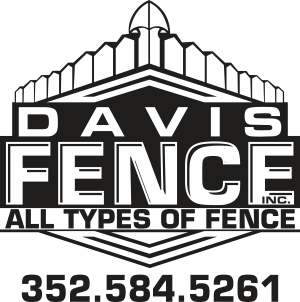 Davis Fencing is your go-to fencing contractor in Brooksville, Spring Hill, Hudson, FL and all surrounding areas. We specialize in residential fencing installations, commercial fencing services and fencing removal. Whether your fencing project requires aluminum & chain link, pvc & vinyl or wood, we have the knowledge and experience to get the job done right and leave you satisfied fully with the results. In need of security fencing or can't seem to keep your dog in the yard? Give us a call, we'll find the right fencing to help keep your home, family and dog safe. We understand the hassles of putting up a fence. Fortunately, Davis Fence Inc provides the easiest and simplest fencing services in Pasco and Hernando county. We get the job done right the first time. Please call us for more details on fencing options. Copyright © 2019 Davis Fence Inc, all rights reserved.